Normally, any international conference on Afghanistan is centered on the security aspects post-2014 when American and ISAF (NATO) forces will begin their planned withdrawal. In the last week of June however, New Delhi hosted one that focused on inviting companies and businessmen to invest in Afghanistan. It was a first for New Delhi. Although New Delhi has poured billions of dollars over the past decade to assist Afghanistan’s reconstruction, it has scrupulously adopted a low profile so as not to annoy its regional rival Pakistan, which sees India’s growing involvement in Afghanistan as a strategic threat. Although it’s early days yet to judge if the Delhi conference resulted in any substantial commitments from private companies, CII and Afghanistan officials are hoping that the companies would have gotten a fair idea about business opportunities that exist in the war-ravaged country. Afghan officials listed several measures to woo investors. They said the government had adopted an investor-friendly foreign-exchange system and allowed banks to open foreign-exchange accounts. “We have also permitted 100 per cent foreign ownership of enterprises and easy repatriation of profits,” one official said. India’s foreign minister S.M. Krishna pointed out what lies ahead. “We visualize Afghanistan's mineral resources, agricultural products and human resources as possible drivers of growth and regional economic development that together with the energy resources of Central Asia, Iran and the Gulf, the growing economic prowess and markets of China, Russia, Turkey and India, could knit the entire region between Turkey in the west, Russia in the north, China in the east, and the Arabian Sea and the Indian Ocean in the south, in a web of trade, transit and energy routes and economic cooperation. This vision requires international support in the form of institutional finance and foreign investment,” he told the conference participants. 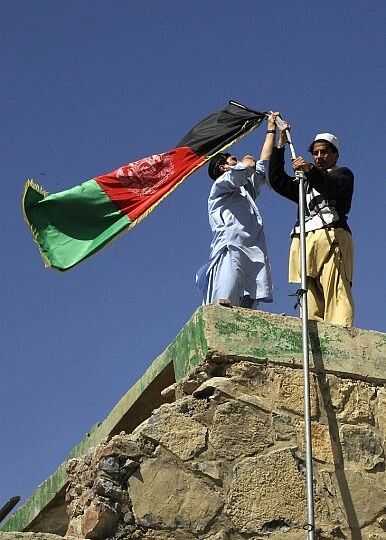 India has been central to Afghanistan’s quest to rebuild its economy. Since 2002, India has contributed over 2 billion dollars in aid. As the drawdown nears, Afghanistan is in dire need of moving away from an economy that is largely dependent on donor handouts to a self-sustaining mode. The country is known to have large deposits of coal, copper, iron and gold. This is bound to attract large corporations, but skilled manpower is still far short of expectations. Moreover, security remains a prime concern. Afghan ministers who attended the conference tried to allay fears. The Afghan commerce minister explained: “I would like to assure you that most parts of Afghanistan are stable and secure. Almost everywhere, the level of security is well above that which is needed for economic development to occur." Development of a vibrant economy will help make Afghanistan an independent, democratic and viable sovereign country that does not provide shelter to any terrorist group. But it will take more than an investors meeting to translate that hope into reality. Nitin Gokhale is Defence & Strategic Affairs Editor with Indian broadcaster, NDTV 24×7.